Tampa Neurologists at First Choice Neurology include Dr. Stephen Sergay, Dr. Mark Cascione, Dr. Susan Steen, Dr. Sunil Reddy, and Dr. Linga Reddy. They are located at 2919 W. Swann Avenue, Suite 401, Tampa, Florida 33609. For an appointment, call (813) 872-1548. Our Tampa neurologists deal with neurological problems such as Stroke, Multiple Sclerosis, Alzheimer's, Migraines, and Parkinson's disease. 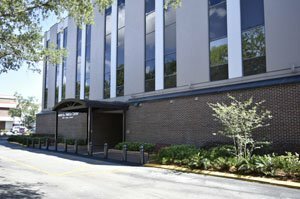 First Choice Neurology Tampa Neurologists include Dr. Stephen Sergay, Dr. Mark Cascione, Dr. Susan Steen, Dr. Sunil Reddy, and Dr. Linga Reddy. They are located at 2919 W. Swann Avenue, Suite 401, Tampa, Florida 33609. For an appointment, call the Tampa office at (813) 872-1548.